The Everton defender is setting the standard amid the rumours and shenanigans over players such as Rooney, Suárez and Bale. At least there’s Leighton Baines. Good old Leighton Baines, still doing the right things, quietly going about his business, despite having known for pretty much the entire summer he has the chance to go to Manchester United but Everton are doing all they can to put the shutters down. No complaining, no scams, no injuries of convenience, even though it is probably safe to assume he is quite intrigued by the idea of joining David Moyes and everything that comes with the upgrade. There’s an element of educated guesswork here, on the basis that Baines has kept his feelings to himself, but he could hardly not be interested when Old Trafford presents so many attractions. A huge jump in salary is only one of them. A move to Manchester means playing in the Champions League, challenging for trophies and working, again, for a manager who clearly gets the best out of him. It also offers a much better chance of ousting Ashley Cole from the England team on a permanent basis, with a World Cup to come next summer. Yet he has not forced the issue. He does not have a team of people working in the shadows to put pressure on Everton, planting stories, kicking up a stink. Baines has just carried on as he was: head down, working hard, reminding us it is possible to be a great footballer and a great football man. It is a different set of principles he is applying to some of his peers, absolutely refusing to take on his own club when you just know there will be people in his profession looking his way and wondering why on earth he is being so old-fashioned and naive. Bale is learning Spanish and his agent, Jonathan Barnett, suddenly appears to have Marca TV on speed-dial. Put it all together and it is not difficult to see what is going on. In fact, it is about as transparent as it gets. This, increasingly, seems to be the modern-day strategy when a player wants to get his own way: back the club into a corner, then sit tight, play a clever game with the media and hope the chairman eventually caves in. Baines stands out simply because he does not go in for all the politics and games. But the fact he is the exception, rather than the norm, probably does not say a great deal for footballers at this level. Or the people waiting for their five or 10% commission and telling their clients what to do next. Wayne Rooney is a case in point. His agent, Paul Stretford, to use Sir Alex Ferguson’s description, is “not the most popular man” at Old Trafford. United, as the Guardian revealed last week, are not going to let Rooney join Chelsea, no matter how many roubles Roman Abramovich chucks at it or what the player and his agent cook up next. Hopefully Liverpool will stick to what they say regarding Luis Suárez and, between them, the two clubs can show that sometimes it does not matter how much a player stamps his feet. It is not going to change the culture but it would be a break from the norm – and that is not a bad thing at all. Bale is a slightly different situation because of the sheer amount of money involved and the fact Spurs would not be selling to a direct rival. On that basis, it is going to be extremely hard for Daniel Levy to turn down a world-record transfer (a friend of mine, with connections to the Bernabéu, reports back that Madrid have already pre‑ordered 50,000 shirts with Bale’s name emblazoned across the back). Yet the Spurs chairman, just like his counterparts at Old Trafford and Anfield, is entitled to be aggrieved given the way the player and his Mr Fixit have gone about it and it is not totally out of the question Bale, Suárez and Rooney will all discover that player-power isn’t this season’s fashion. 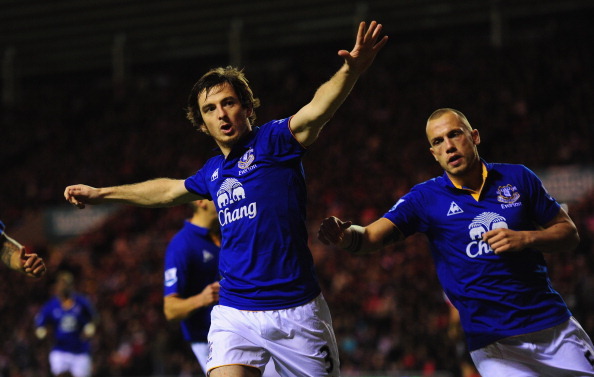 Maybe – and this would be an irony – Baines will be the only one of the lot to go. One thing’s for certain: it is a shame there are not more like him. ← What can £ 70 million buy?